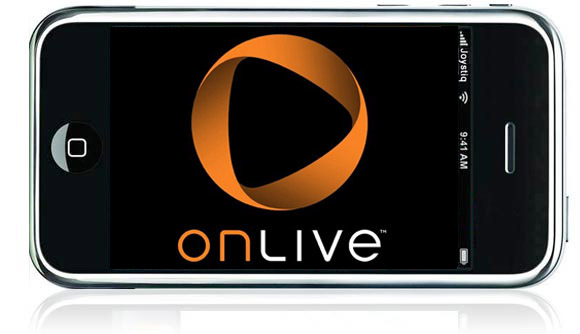 OnLive demonstrates iPhone app, set to redefine mobile gaming? Okay, we admit to still being a little bit unsure about OnLive's pledges for high-end, high-resolution, lag-free gaming on any 'ol device with bandwidth, but we want to believe, and so it's with skeptical optimism that we report on news of mobile implementations. The company has demonstrated an iPhone app in which users are able to play against gamers on a PC or on the company's MicroConsole -- despite not having a single button to press. It's interesting stuff but, according to OnLive's CEO Steve Perlman, it'll be awhile before we see this in the wild, as plans for initial mobile apps will be limited to checking game stats and watching live gameplay. However, we presume it'll be a small step from there to flip the switch and two-way communications, meaning that perhaps by the time Modern Warfare 3 hits the wires you can keep gaming even while you're commuting.